25 Bank street is a glass office tower refurbishment of 150,000m² and 29 storeys commercial building. It is prominent among Canary Wharf high rise glass buildings. 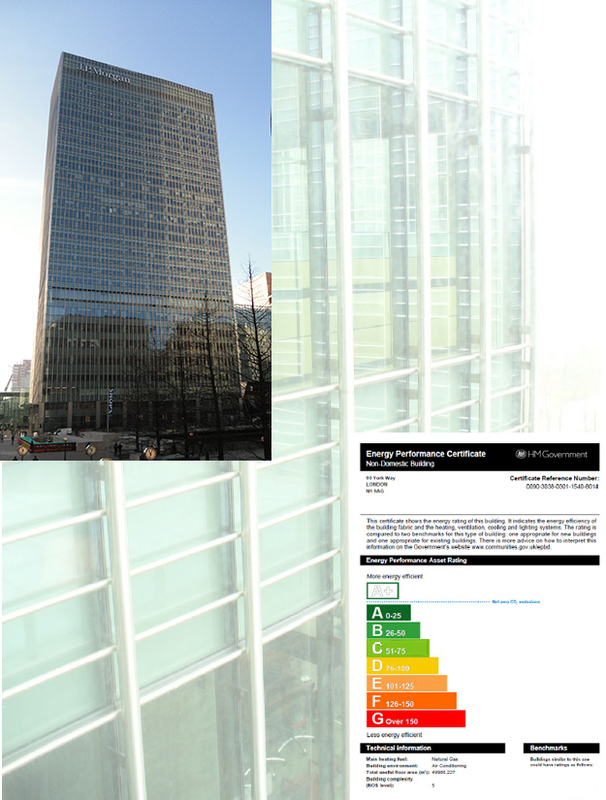 For this building a complexity-level 5-EPC (Environmental Performance Certificate) was produced for Hurleypalmerflatt by Christina Galyfianaki. King’s Place is a landmark modern building for gallery, conferences, art events, cafe, and offices. This world class building has a double facade filter and a required a complexity-level 5-EPC with Dynamic Thermal Simulation. A pilot EPC was produced for Hurleypalmerflatt by Christina Galyfianaki. Christina Galyfianaki the lead member of EcoDynamis has been responsible for producing and lodging approx. 30 EPCs (Environmental Performance Certificates) in UK. The role expands in mentoring and QAing of a group of people in Hurleypalmer flatt that prepared them. She is one of the 50 first EPC assessors in UK and in May 2008 produced the first pilot EPC for Hurleypalmerflatt. 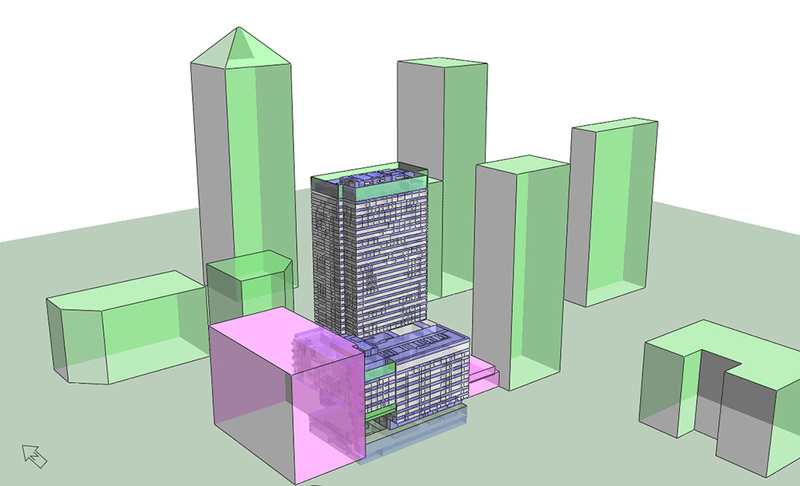 The commercial buildings EPCs require the use of dynamic simulation tools (like IES) and complex buildings are designated for level 5 EPC that may require the use of Macroflow (to account for natural and mixed-mode ventilation) Suncast, ( to account for shading devices performance), formula profiles (for complex system operation), combined heat and power and renewable strategy implementation.